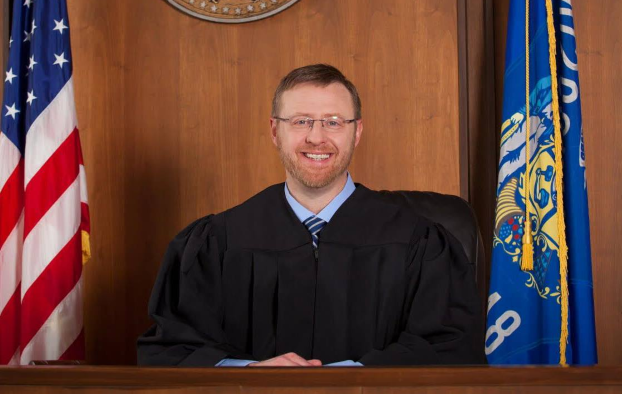 Walker’s Revenge: With the nation’s eyes elsewhere, the pivotal state of Wisconsin held a judicial election last Tuesday between state Appeals Court Judges Lisa Neubauer (the liberal) and Brian Hagedorn (the conservative). Conservatives were dreading the outcome for a number of reasons, including both Gov. Scott Walker’s narrow loss in November and conservative Judge Michael Screnock’s loss in 2018. The race was largely defined by well-funded left-wing attacks on Hagedorn for his Christian faith — he was involved in founding a Christian school whose code of personal conduct clashes with the modern anything-goes sexual ethic. Nearly every commentator has recognized how badly these attacks backfired. Neubauer had been a heavy favorite to win, and the outside money (including $120,000 from Planned Parenthood) stacked up heavily in her favor. Moneyed interests such as Wisconsin’s realtors and the national Chamber of Commerce withdrew support from Hagedorn in the interest of pleasing left-wing gay activists. But in the end, the conservative grassroots were energized, and Christian voters concerned to the point that they boosted turnout to its highest level in an off-year judicial election since 2011. Hagedorn won by just half a percentage point. Hagedorn’s victory puts a former top aide to former Walker, into the seat formerly held by uber-liberal Justice (and longtime Chief Justice) Shirley Abrahamson, who had on the court for 40 years. So conservatives just expanded their majority on the state Supreme Court from 4-3 to 5-2, where it was before they lost an open seat race in 2018. Cheesehead paradise: From the perspective of Wisconsin politics and the preservation of Scott Walker’s legacy, this is obviously a big deal. For one thing, it means that Wisconsin’s state Supreme Court will not follow in the footsteps of Pennsylvania’s, imposing a Democratic gerrymander on the state by fiat. And the purely local benefits of Hagedorn’s surprise victory don’t end there. His unexpected win appears to have convinced conservative Justice Dan Kelly to run for a full term next year, whereas beforehand he had reportedly been thinking of hanging it up. As the incumbent, Kelly will be heavily favored — only one incumbent justice (the liberal Louis Butler in 2008) has been defeated in the last 52 years. Already, Democrats cannot retake the state Supreme Court until at least 2023, but a Kelly victory would push back that timetable even further to 2026. Trump 2020 significance: But beyond the significance for governance in Wisconsin, this election also bears meaning for President Trump’s re-election in 2020. Yes, Walker very narrowly lost in a Democratic year of 2018, but all is not lost in the Badger State for Team Red. Republicans still have the ability to get out their base. What’s more, Democrats’ increasing religious intolerance could help ensure continued political engagement by the state’s Christian Right. That will remain a source of votes and victories even where the business lobby becomes too squeamish to back candidates who are also people of faith. In terms of the presidential race, the Electoral calculation changes dramatically if Trump is legitimately in the race to win Wisconsin. For example, even without Pennsylvania and Michigan, Trump reaches exactly the 270 electoral votes he needs for the presidency and a razor-thin electoral victory if he wins Wisconsin and all the other states he carried in 2016. That would make for a clean win without the Blue-trending battlegrounds of Virginia, Colorado, or Nevada. And if Trump can’t do it in Wisconsin, then he can yet compete in Minnesota, Pennsylvania, Michigan, New Hampshire. And those are all states where Trump could compete to seal the deal. Meanwhile, it is increasingly clear that, assuming it’s the close election we’ve come to expect, this coming 2020 race will be fought on two fronts: In Trump-trending northern industrial states (Minnesota, Iowa, Wisconsin, Michigan, Maine, Pennsylvania) and in Democrat trending states in the Sun Belt (Arizona, Georgia, and Florida). Democrats 2020: The entry of Reps. Tim Ryan, D-Ohio, and (unofficially) Eric Swalwell, D-Calif., into the presidential race has to leave you wondering — why on earth? Do Democrats need another far-left loon like Swalwell, who talks about threatening people people with nukes if they resist giving up their guns? There are a dozen Democratic presidential candidates who are ideologically the same but less embarrassingly stupid in stating their positions on gun control. Ryan, at least, has a niche — a slightly more moderate, Midwestern version of the left-wing Democrat. But even so, he shares that lane with Pete Buttigieg. Imagine the slogan: Buttigieg, but less gay. Is that really going to do it? Democrats are jumping into next year’s presidential election by the dozen because they assume that Trump is dead meat — easy to bea, and ready to fall to whomever their party nominates. But as 2016 proved, they might be in for more than they bargained for. Trump could lose, yes, but you write him off at your peril. He’s left a trail of bodies behind him — powerful politicians in both parties who thought he was an amateur and an easy target. Democrats are far more likely to succeed with a Ryan or a Buttigieg than they are with a Swalwell, an Elizabeth Warren, or a Kamala Harris. They will get further talking about the restoration of manufacturing jobs than they will about reparations for those who can claim descent from slaves. But the sheer number of Democrats getting into this race suggests what could well be an overly optimistic view of the coming election, or perhaps just a clear opportunity for many trying to raise their profiles and run for other offices in the future. Or both. West Virginia: Sen. Joe Manchin, D-W.Va., having won re-election to the Senate with just 49.6 percent of the vote in 2018, is now considering a 2020 run for governor. He said in an interview last week that he will announce his decision by this fall. He would be attempting to wrest his old job from the increasingly unpopular Gov. Jim Justice, R, who switched to the Republican Party shortly after winning his race as a Democrat in 2016. However, Justice could also face a primary challenge. If Manchin were to lose a 2020 governor’s race, he would remain in the Senate. But a Manchin victory in this race would be highly significant in shifting the balance of power in the U.S. Senate one seat toward the GOP. Manchin, who reportedly (in spite of what he says) hates the Senate, is holding down a seat that probably no other Democrat will be able to hold any time soon. Even if he appoints a Democrat to replace himself, Manchin’s return to the governor’s mansion would nearly guarantee a Republican Senate pickup in the long run. What’s more, the Mountain State’s GOP-controlled legislature could pass a bill requiring a quick special election, of the sort already required in Alabama, Massachusetts, and 12 other states. That would nearly turn a Manchin victory into quick a Senate GOP pickup. Given that the 2020 Senate races could put control of the chamber on a knife’s edge, it’s an extremely significant development that could help protect much of Trump’s legacy, even if he is defeated in 2020.